Industry will always lead the way in the adaptation of new technology, and especially the technology of conservation. This is not necessarily for any ideological reason, but because the people who manage water use better understand the economic incentives for adopting new technology. 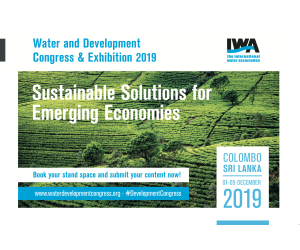 Current technology of wastewater treatment is a perfect example of this acceptance of environmentally beneficial processes in the pursuit of increased profitability. The root of this profitability is generally in going above and beyond what is required. Most municipalities will require some degree of process wastewater treatment before they will accept discharge into a municipal wastewater system. The discharge permit, however, will come with limits on discharge simply out of necessity, and each gallon of discharge comes with a price tag attached. The unit cost of this discharge can be about $5 (USD) per 1,000 gallons (3,785 liters) of treated wastewater discharged to a municipality for further treatment. In some jurisdictions, it can be noticeably higher. The pragmatic consequence of cost is that on-site treatment only needs to cost less than regulatory sewer discharge cost (which might approximate $5 per 1,000 gallons) to return treated wastewater to an environmentally acceptable state to be economically advantageous. Discharging water into an environmental waterway is free once it passes US EPA regulations for safe discharge quality and quantity into receiving waters. 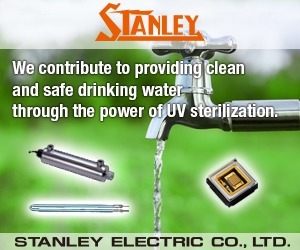 The incentives for on-site treatment are much greater than just saving on regulated municipal discharge fees. 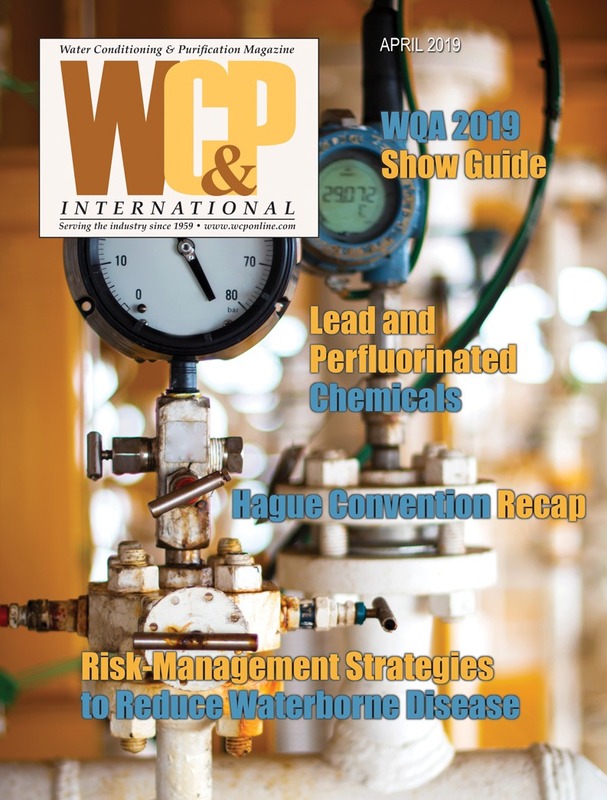 Another motivation is the opportunity to reclaim water for repeated process use and in some cases the treatment process can result in the recovery of contaminants for reuse in manufacturing systems. In other applications, impurities can actually be put to other beneficial uses, as is the case with organic nitrogen, which is often used as fertilizer. Wastewater treatment is effectively a modular process. For each impurity or type of impurity, there is a process that effectively removes it. Processes are placed end to end, each removing (and sometimes reclaiming) their set of impurities before feeding into the next. This means that discussion of such universal process units can be independent of a specific industrial context. This article covers the systems used in a number of industries as a means of illustrating the different methods to deal with drastically different input waste streams, based on the understanding of two terms to describe impurities: total suspended solids (TSS) and biochemical oxygen demand (BOD). Total suspended solids is a relatively simple concept, a measure of the amount of physical and chemical solids in a sample of water consisting of floatable, suspended, settable matter. TSS impurities are usually produced by chemical processes that do not use organic compounds. Organic impurities in wastewater are often measured by BOD, a measure of how much oxygen is required by organisms in water to break down organic impurities, usually expressed as milligrams of oxygen per liter of water. While this is not as directly quantitative a measure of suspended impurities as TSS, it is used as the most widespread measure of organic pollution in a wastewater stream. Milligram per liter (mg/L) is an internationally accepted unit of measure for concentration of a pollutant that can also be thought of as parts per million (ppm). Both of these expressions can be compared with the percentage. 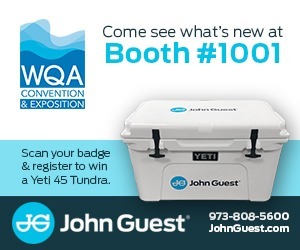 As 1,000,000 ppm equals 100 percent, so does 10,000 ppm or mg/L equal one-percent concentration by volume. 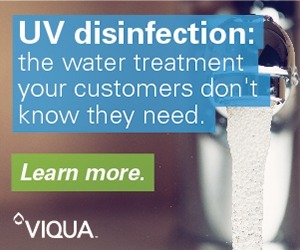 Input wastewater is often, but not necessarily, dosed with a flocculent chemical to help clump floatable particles. 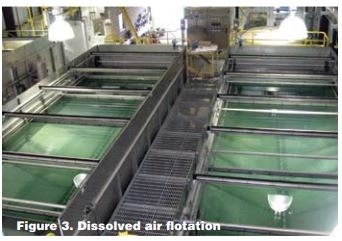 Then it passes into a flotation tank and is mixed with water that has been saturated with compressed air. When this gas-rich water is released into the flotation tank, the gas comes out of solution and attaches to floatable solids in very small micro-size air bubbles, causing the solids to rise to the top for easy removal by a surface skimmer. This is a very efficient process (as very little water is lost) because it removes a large variety of floatable particle solids in one process unit. Once the floatable fats and other physical matter have been removed from the dairy facility’s wastewater stream, it may undergo any one of several processes to remove the organic load. 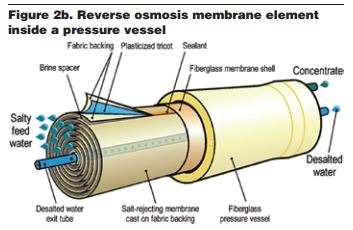 This can be accomplished through physical methods, such as ultrafiltration (Figure 4) or reverse osmosis or biological treatments. 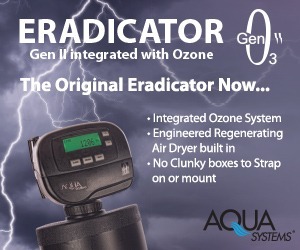 Because of the low level of toxic dissolved solids that remain in this output waste stream, it is ideal for biological solutions. Important factors in the selection of a biological solution include space as well as output quality and quantity. An application with a lower output rate coupled with a great deal of space can use this water for irrigation or processing through natural or artificial filtration lagoons (Figure 5). A higher output rate or less available land can benefit highly from an anaerobic digester. 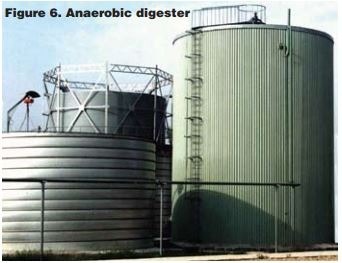 Anaerobic digestion (Figure 6) also deserves special attention. It is a relatively complex process that is perfectly handled by a selection of natural bacteria. These bacteria effectively break down organic waste through several steps, with the end products being carbon dioxide, methane and water and very little organic waste remaining. Output generally contains a small selection of particulate solids, which can easily be removed by sludge filtration process units. Anaerobic digestion is not necessarily notable for its simplicity, but for its usefulness. One of the end products of digestive processing is methane, better known as natural gas. Many locations use natural gas for heating or energy generation; this process allows for reclamation of natural gas to decrease heating costs. On-site natural-gas generation increases the economic incentive for processing even further. In some cases, dissolved fats can even be used to increase natural gas production, provided some other method to remediate the floatable solids is used. 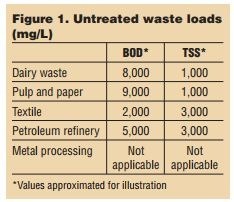 Processing required for a dairy is remarkably similar to that of a pulp and paper manufacturing facility having an untreated waste stream with high BOD value of approximately 9,000 mg/L and a reasonably high measure of TSS of approximately 1,000 mg/L (Figure 1). The primary causes of differentiation, however, are the chemicals used in the production process itself. An ideal situation would involve a non-toxic effluent flow, thereby permitting the use of anaerobic digestion and preserving the profit associated with such a strategy. A process with more chemicals might eliminate this possibility as a primary filtration method and instead push bioremediation to the last step of processing to help decrease the biological load of the final discharge. In these cases, effluent treatment usually consists of careful screening of large particles using rotary screens, dissolved air flotation and sedimentation tanks. Filtering solids and grease is very important in this application, as it increases the efficiency of the core purification processes: ultrafiltration, RO or a combination of the two to remove more contaminating pollutants. 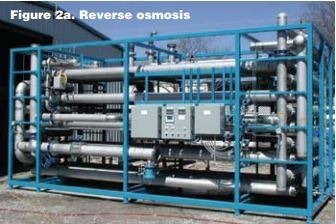 Reverse osmosis and ultrafiltration are industry standard processes and thus merit more specific discussion. On first glance, the similarity of these processes is simple: both are designed to remove solids from water by passing them through a semi-permeable membrane. 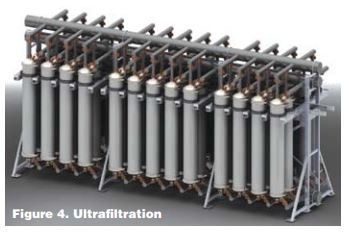 The difference between these processes is that with ultrafiltration, non-ionic solids are primarily captured by the filter and discarded, while most or all of the effluent is passed through the filter. With RO, effluent is highly pressurized, which causes water to pass through a semi-permeable membrane. The motion of this purified water through the membrane leaves behind water with a much higher concentration of dissolved solids. Such concentrated effluent has a much greater chance of solute reclamation if it is sourced from a single process or several similar processes, as the concentrated effluent that did not pass the membrane can be subjected to additional processing to reclaim these dissolved solids. One of the more involved treatment processes is centered on the purification of wastewater from the textile industry having an untreated waste stream with BOD value of approximately 3,000 mg/L and a comparatively high measure of TSS of as much as 3,000 mg/L (Figure 1). Textile production often requires a fair amount of water that often becomes contaminated with process-specific impurities, such as dyes, soaps or other chemicals. These processes can be handled in a similar fashion to the above facilities, especially when the fabrics involved are biological in origin. Two treatment techniques see the broadest use in this industry. The first is a more robust pretreatment impurity screening designed to catch fine fibers and lint before the effluent is subjected to dissolved air flotation. This is accomplished using fine, rotating screens to both remove and reclaim small fibers. 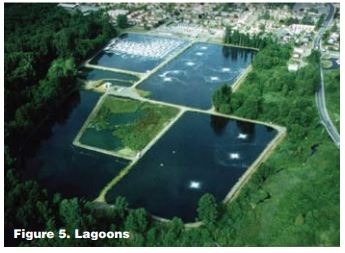 The second technique is the utilization of lined settling ponds, which allows both biological reduction of BOD load and settling of some heavy metals used in processing, for either reclamation or safe disposal. Now let us discuss a significantly different treatment situation: a petroleum refinery. A refinery of this variety is unique because it has elevated oil and grease and a relatively high measure of BOD of approximately 5,000 mg/L (Figure 1), but is similar to many high-chemical industrial applications because of the great deal of unique processing that must be performed to remove process-specific impurities. These treatments are required by municipalities before discharge into their collection systems, as these publicly owned treatment works (POTWS) are not equipped to deal with such chemical input, and thus they do not necessarily present a barrier to filtration to the point of being able to discharge into surface streams. Also, the processing of petroleum-refining effluent is extensive enough that it can make use of many of the systems previously discussed. The processing of petroleum effluent generally begins with two steps of oil removal. The first of these is usually a simple oil separator, followed by an adequate capacity of dissolved air flotation, similar to that described in the discussion of the dairy plant. It is then pumped to an aeration tank with bacteria added or to another form of biological treatment for the removal of organic solids found in all petroleum. 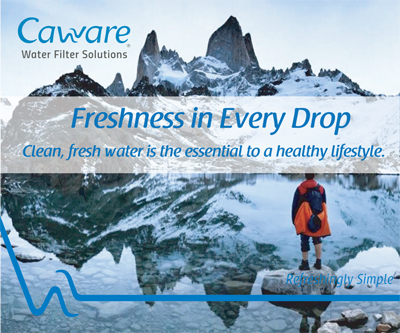 From there, many filtration solutions are possible. For instance, water can undergo reverse osmosis to remove a broad spectrum of dissolved solids. The final example waste stream to discuss comes from industrial metal processing plants. This industry sector can include circuit-board printing, coating and plating operations or the production of coke in steel refining. Such industrial processes generally use less water than textile or paper production, but impurities in this water are usually more toxic, much more concentrated and very heavy by weight in relation to water, so from a wastewater treatment standpoint, they settle very fast. 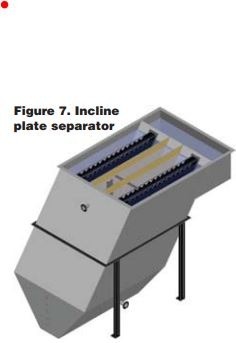 Therefore a solid separation process unit for this industry is often an incline plate separator (Figure 7). 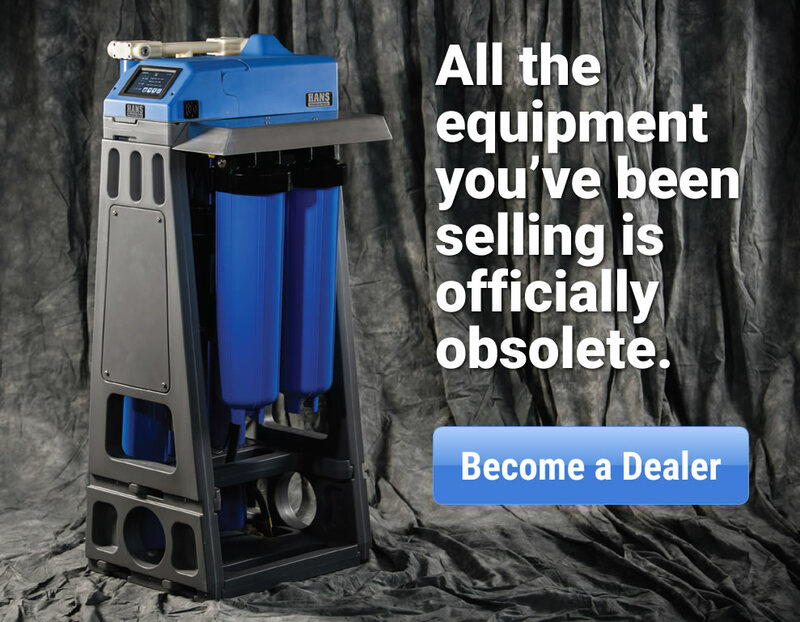 High concentrations of dissolved solids require much more robust filtration techniques. Since these are often individual, purpose-built processes, they are beyond the scope of this article to describe. Such treatment steps can include the stripping of cyanide, desulfurization of effluent or crystallizing ammonium sulfate out of solution. The existence of such facilities provides a unique opportunity for reuse. In certain cases, however, water in these processes may be reused multiple times before discharge, as long as proper treatment and solute concentration monitoring is maintained; pH adjustment is raised to make metals drop out. Most industries use water. 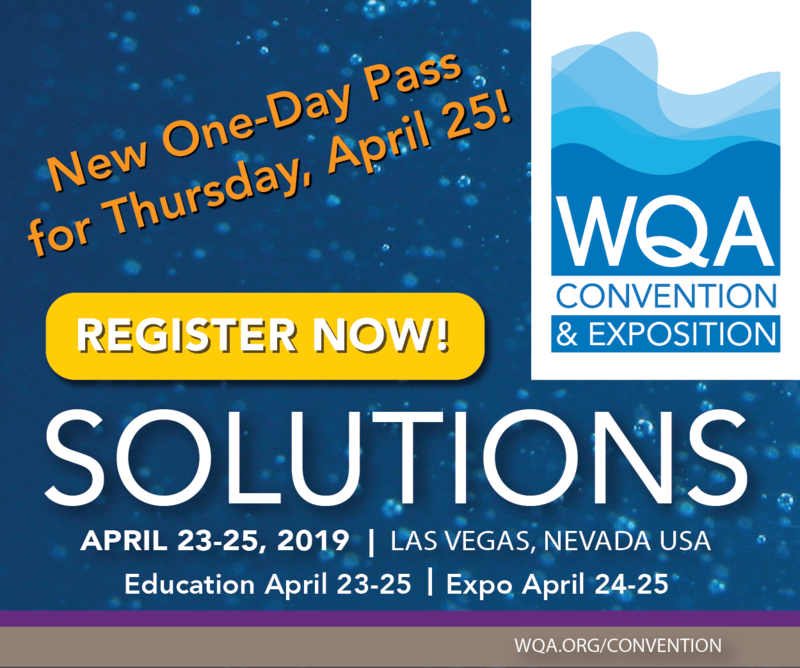 The chosen examples are simply a smattering of options to illustrate the many possible technologies that can be utilized to improve wastewater quality, many of them already required by municipalities before discharging into their wastewater collection systems. 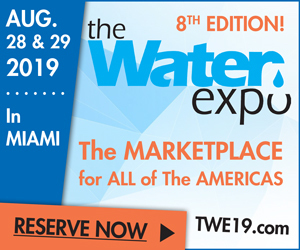 It is important to consider the possibility of furthering the wastewater treatment process, allowing discharge into surface streams or other environmental water resources, or the in-facility recycle and reuse of water. The economic incentive for this careful scrutiny is twofold: opportunity to decrease discharge costs, and many steps of the water reclamation process create secondary resources that can be used to both decrease costs and increase profit. The environmental benefits and increase in efficiency are not to be undersold, though. Careful management of water can and does dramatically improve the availability and safety of this important natural resource. Once more, industry has a chance to be the force driving sensible and economical environmental conservation. It can show how benefiting everyone and benefiting itself and shareholders is inseparable. It’s too good an opportunity to miss. Daniel L. Theobald, proprietor of Environmental Services, is also a professional Wastewater and Safety Consultant/Trainer. 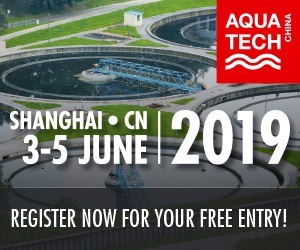 He is known in the industry as ‘Wastewater Dan’ and has more than 24 years of hands-on industry experience operating many variants of wastewater treatment processing units. Theobald is a trainer in wastewater and industrial health and safety topics and is eager to share with others to conserve on water (www.ConserveOnWater.com). He serves as an active consultant to a variety of industries, achieving and maintaining consistent improved wastewater treatment at reduced cost. 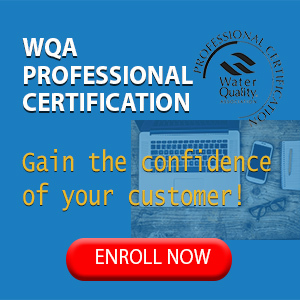 Theobald is a Lifetime Member of the Who’s Who Registry of Professionals and holds numerous certifications from several wastewater management regulatory boards and professional organizations. He is currently the primary author of one chapter revising the Water Environment Federation’s (www.wef.org) Manual of Practice # 29 (MOP-29), a technical manual resource guide for biological nutrient removal, scheduled for publication in 2013. Theobald also authors an industry-related blog (http://TheWastewaterWizardBlog.com/).